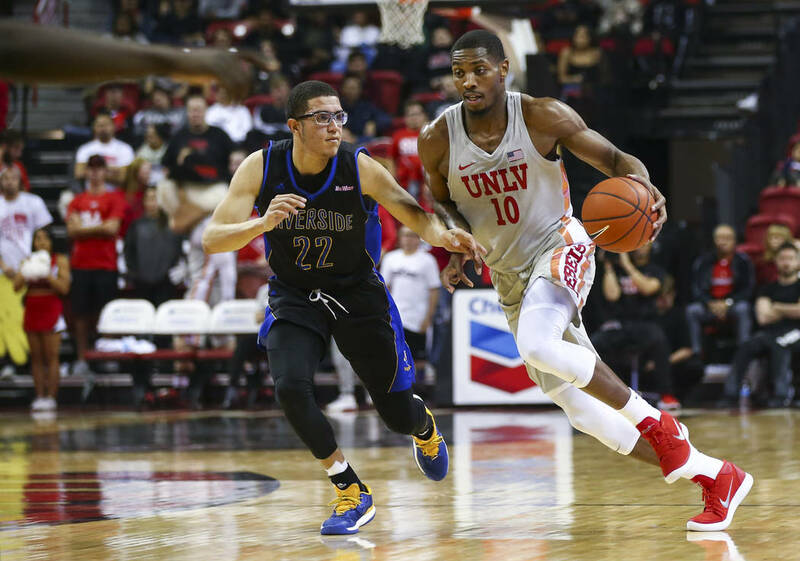 Breaking down UNLV’s game against Brigham Young at 5:30 p.m. Saturday at T-Mobile Arena. BYU starts a four-guard offense, with TJ Haws averaging 17.3 points, 5.1 assists and 4.5 rebounds. The other three also contribute 7.8 to 10.8 points. 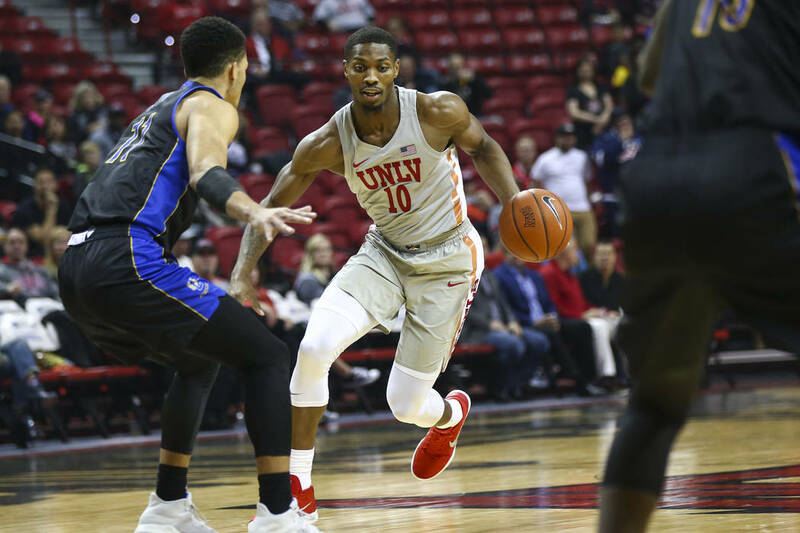 The Rebels’ guards have struggled to find consistency and will be pressured to make outside shots. Though the Cougars start one forward, he’s a good one. Yoeli Childs averages 22.8 points and 10.9 rebounds. The Rebels could be without starter Shakur Juiston (10.8 points, 8.8 rebounds) because of a knee injury. If the Rebels have a talent advantage, it’s here. A good argument could be made that Amauri Hardy (10.4 points) should be starting at point guard. BYU’s Nick Emery is still working his way back from suspension for breaking NCAA rules and will need to play his way into form. There could be more BYU fans than UNLV supporters, and the Cougars are playing better with a three-game winning streak that includes victories over Utah State and Utah. The Rebels are trying to end a three-game slide.